Indigenous Business Australia (IBA) was established to assist and enhance Aboriginal and Torres Strait Islander self-management and economic self-sufficiency, and to advance the commercial and economic interests of Aboriginal and Torres Strait Islander people by accumulating and using a substantial capital asset for their benefit. IBA serves, partners and invests with Aboriginal and Torres Strait Islander people who want to own their future. We go further than provide money; we invest in people, places and ideas that are ready. We help make them real. We’re deeply invested in the financial success and economic independence of Aboriginal and Torres Strait Islander people and communities. It’s why we exist. 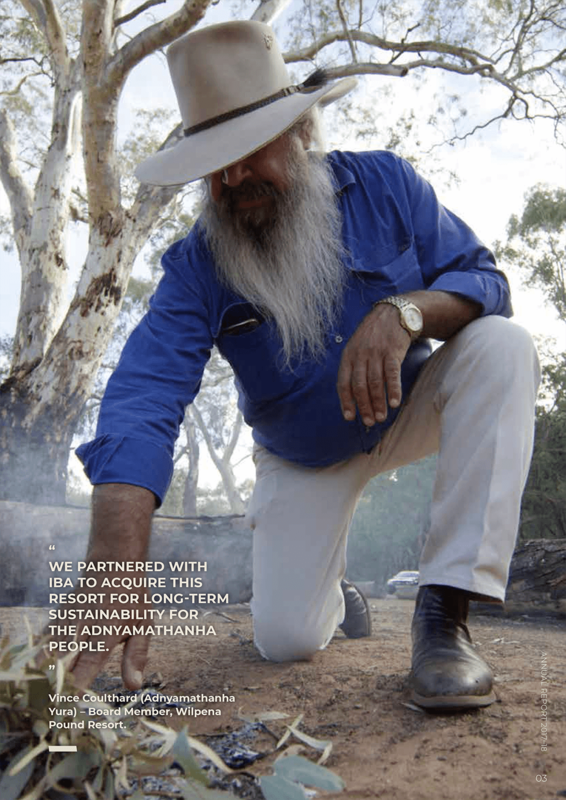 IBA’s vision is for a nation in which Aboriginal and Torres Strait Islander people are economically independent and an integral part of the economy. Loans and financial services – affordable, simple and personalised. So you can take ownership of your home and your future. Finance and partnerships – f rom big ideas through to making them happen, we can provide the right mix of products, services, advice, networks and capability. Focused on making a strong, positive impact with a portfolio that provides responsible financial returns and a whole lot more for communities and our partners.